The patch trend has gotten us pretty excited! We love a good excuse to make our wardrobe basics unique through the addition of small embellishments! Lindee and I discovered, however, that our patching plans required research, shopping, and much stitching. To start with, lots of time went into finding and obtaining the elusive patches. The hunt was made more challenging by our avoidance (where possible) of the expensive patches at craft stores. 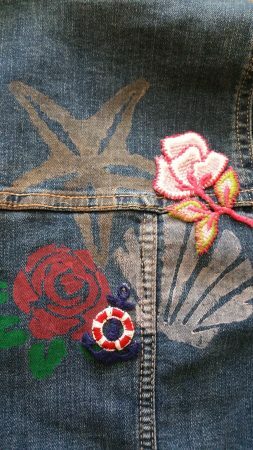 I found many of my embellishments at a favorite fabric thrift store, called Legacy. ( Check it out here.) 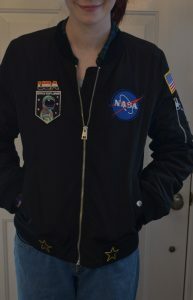 Lindee, on the other hand, discovered the joys of online patch shopping. Army Surplus stores proved to be great places to shop for military and nautical themed patches, while souvenir shops provided travel patches. While on the hunt, we also sourced garments to be embellished. We looked for items with moderate weight fabric and multi-season wearability. Finally, the time for patching arrived! Here are some of the results! 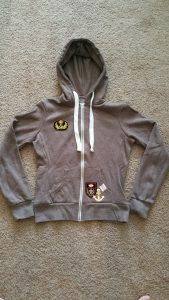 One of my first projects was a hoodie sweatshirt that needed a touch of preppiness. 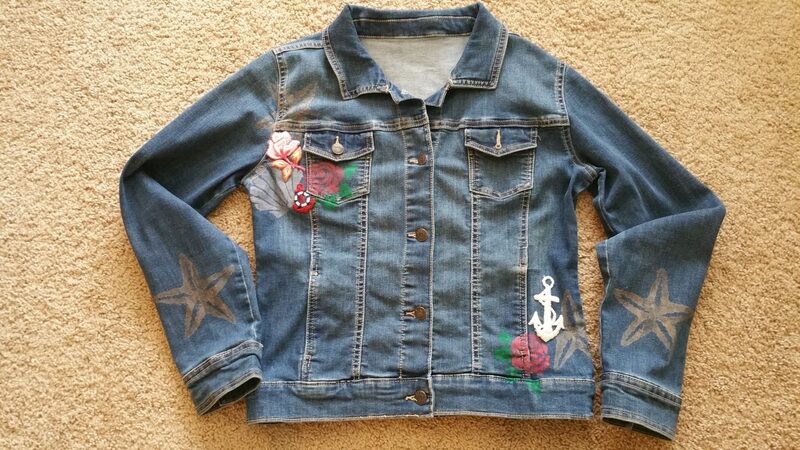 I ironed the patches onto the sweatshirt first. I then made tiny stitches around the edges of the patches, securing them to the fabric. The thread I used matched the patches, making the stitches barely visible. Comfy sweatshirt + cute details = lots of wardrobe potential! Lindee went to town with her projects, adding embellishment to jeans, jackets, and accessories! 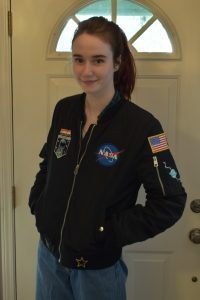 For her first project, she searched for months for the perfect jacket. Once she found the style she had in mind, she realized that the material posed a unique challenge. 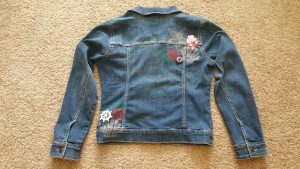 The jacket’s nylon material was heat sensitive, which prevented her from ironing the patches to the jacket. 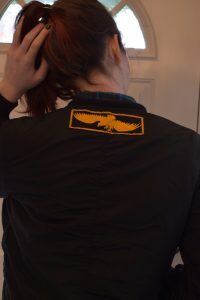 Instead, she pinned each patch in place before stitching around the edges. 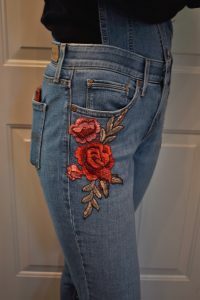 Lindee’s denim projects took lots of time, but turned into showstoppers! 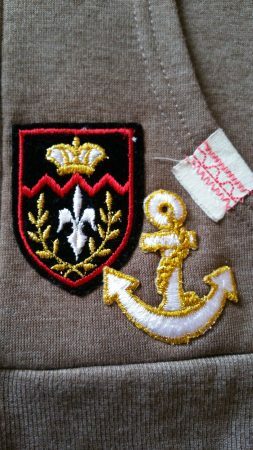 Although she was able to iron the patches to the fabric in some cases, she was always careful to stitch down the detailed outlines of the patches. Denim is such a heavy fabric, that delicate patches could easily peel up from the fabric and rip during washing. 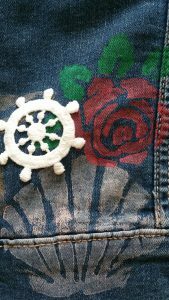 Note to crafters: Floral patches are beautiful, but each bloom and leaf has to be secured to the garment! 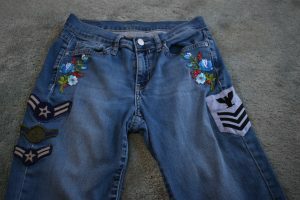 Note #2: Floral motifs look super cute mixed with patches from the army surplus store! 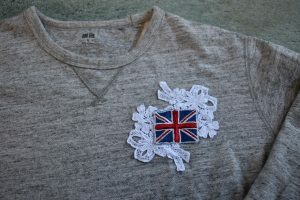 Next, Lindee turned a simple sweatshirt into an adorable one-of-a-kind! 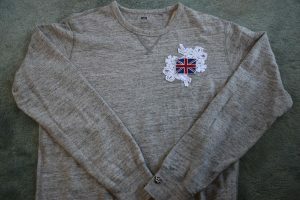 She highlighted the British flag patch by surrounding it with lace appliques. 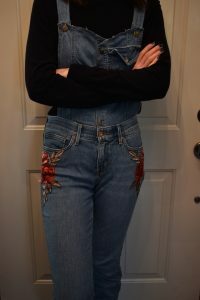 Her finishing touch was a tiny crown patch on one cuff! 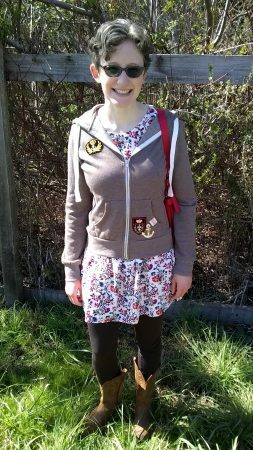 No patch post could be complete without accessories! 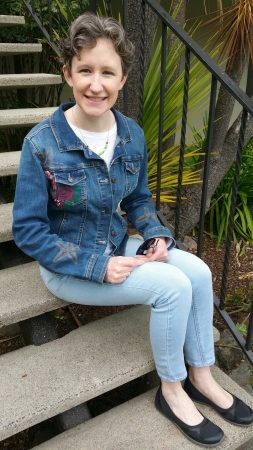 One great travel patch was all Lindee’s cap needed to become unique! She discovered that this was a great way to make her own souvenirs from a favorite trip! 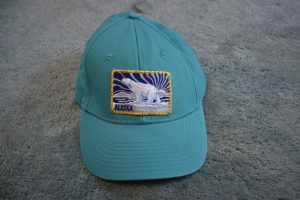 Note to crafters: hats have a curved shape, which makes it difficult to pin and stitch flat patches in place. Our quest for patch perfection was quite an adventure! We have yet to run out of patches, however… More patch-tastic projects are sure to be in our futures! Stay tuned!